A bombshell for Arctic Monkeys fans has happened, it seems that the band will not be releasing any singles before the 11th of May, the date when the album is out. A Domino representative has confirmed to Pitchfork that fans won’t be able to hear any new songs from the LP until its official release, which means it could be a concept album for example. Still, not long to wait for their brand new album! 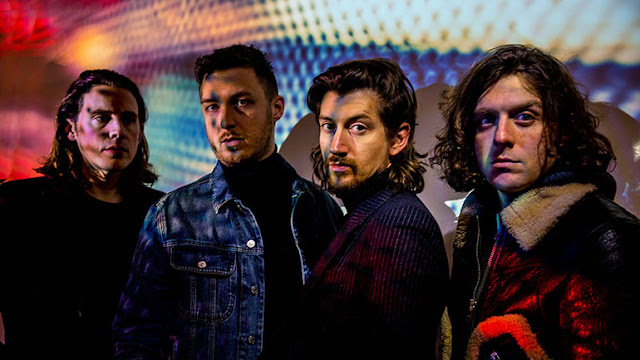 Which almost became an Alex Turner solo record, while speaking to MOJO guitarist Jamie Cook said "I think at first, because it was quite basic – piano, vocal and no guitar – Al was in two minds about, ‘is this Arctic Monkeys or am I going somewhere else with this’. And maybe at first I was a bit like that as well. It’s not definitely not a guitar-heavy record, not typically what we’d do. It took a lot more thinking about."